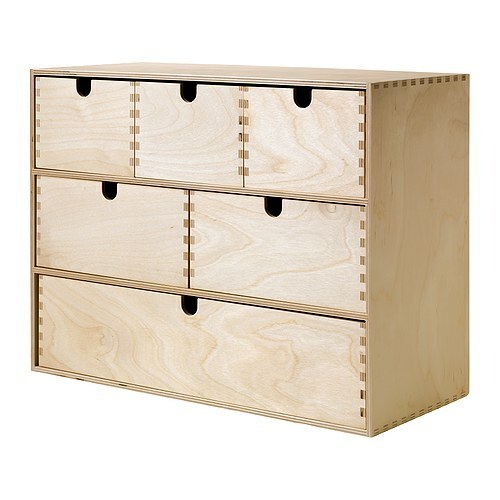 Another IKEA update today. 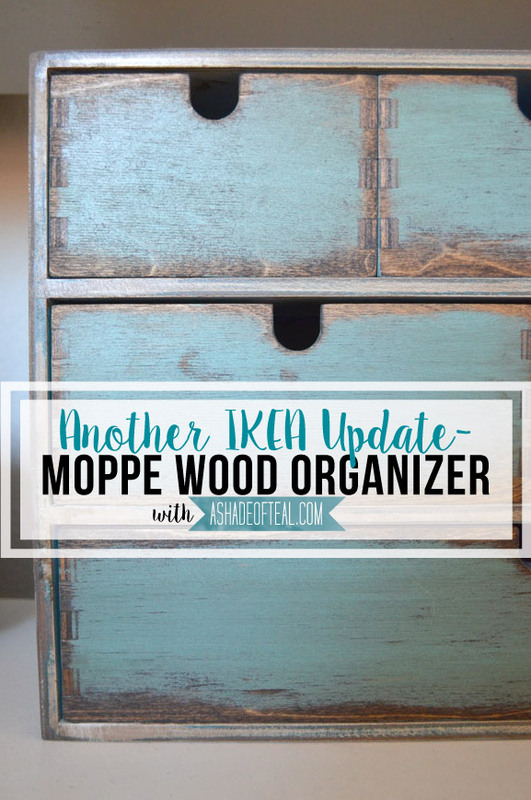 Like my last IKEA update I was also planning on keeping this IKEA Moppe organizer as is. 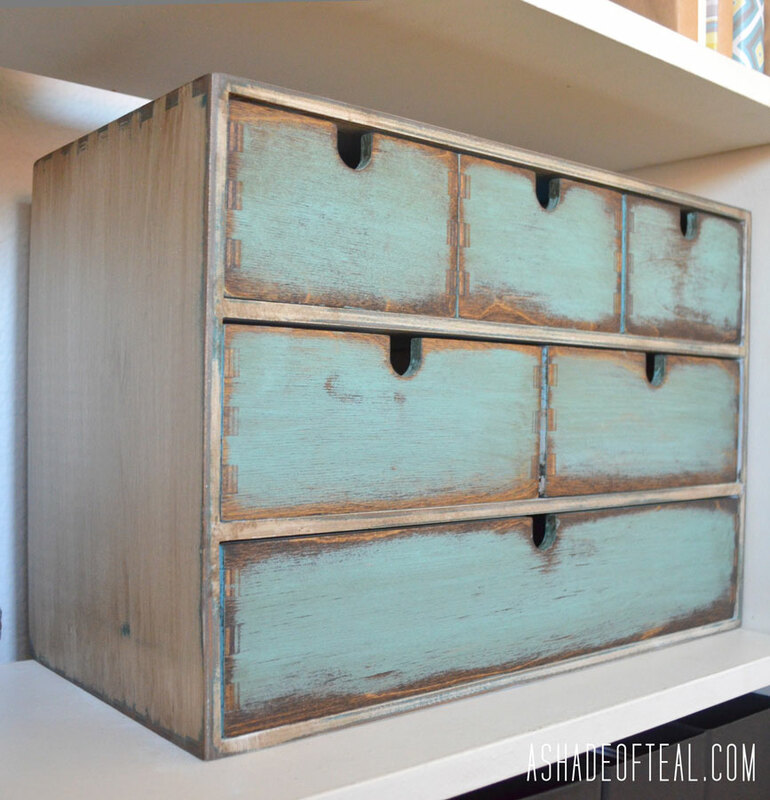 Yet again the bookshelf I had this on was missing that rustic look, so I decided to make it over. 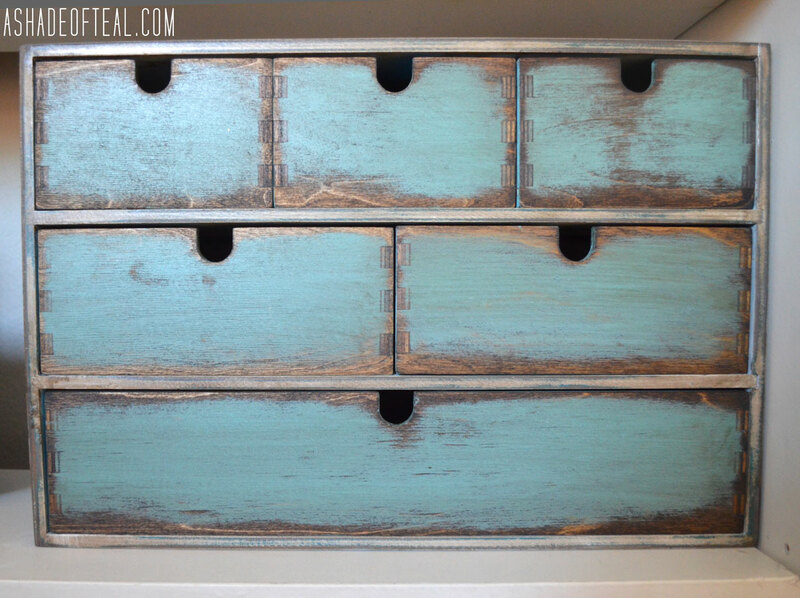 This Moppe wood organizer was a little more tricky to makeover since it has been re-done several times. Here’s what it originally looked like. I don’t think this is available anymore in the US, but here’s the LINK. Now this is how I last had it, so my new starting point so to say! This look was too clean for my new office. 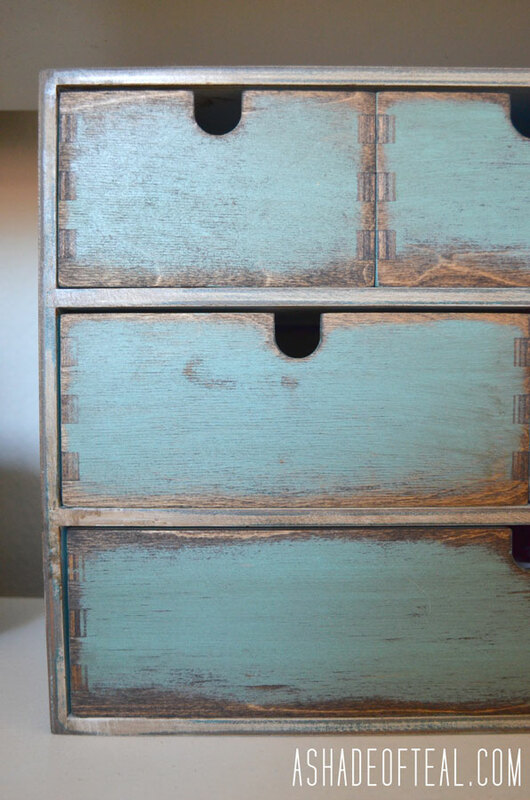 I figured I sand it down then stain the entire box, similar to my last updated piece, HERE. My hope was since I used acrylic paint it would come off fairly easy. I was wrong! So back to the drawling board I went, and I tried staining over the paint. Here’s what I got. I love the new look so much! 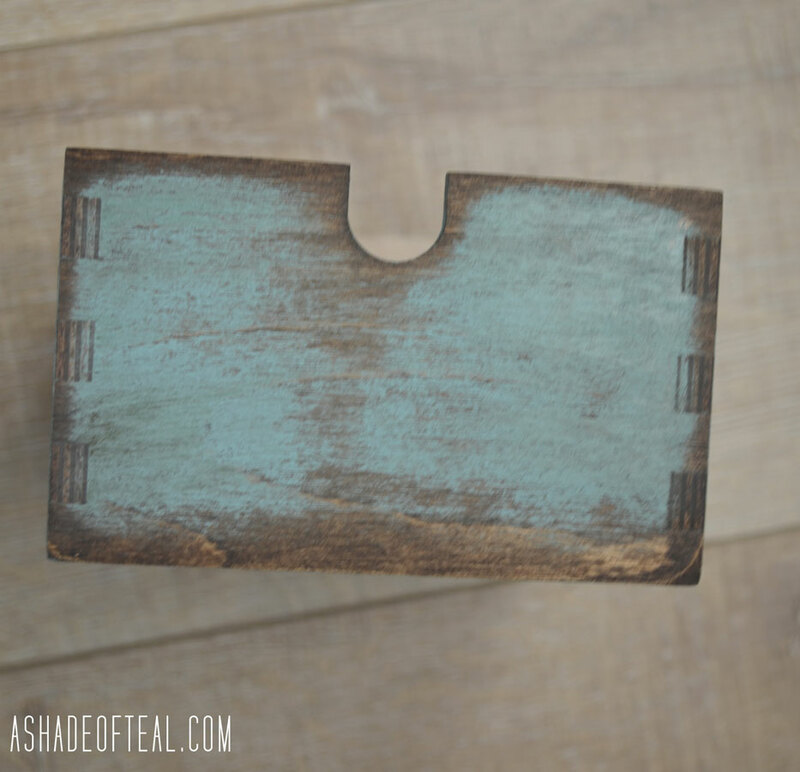 Its the perfect blend of Rustic with my teal mixed in. 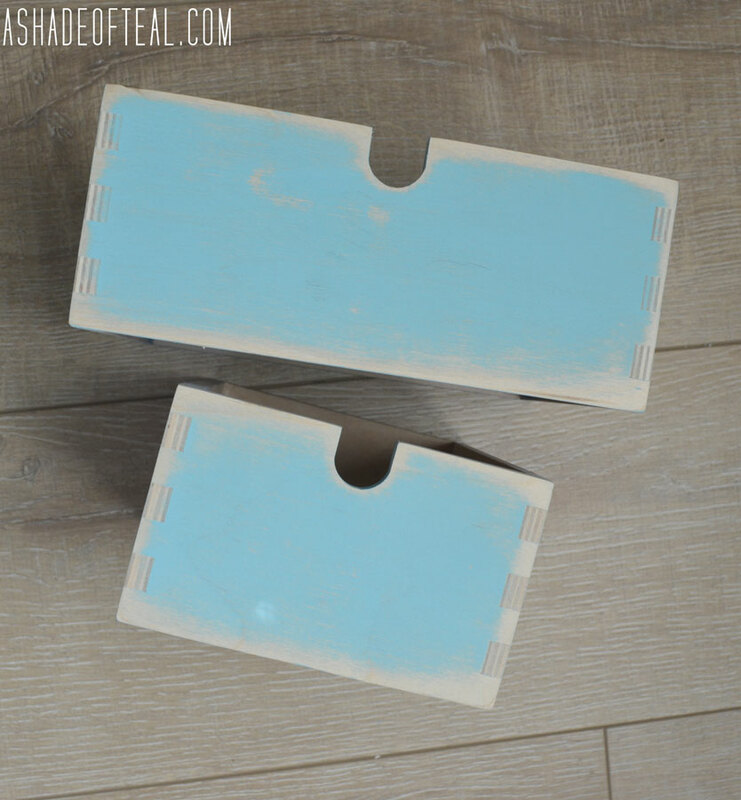 So I ended up sanding the rest of the box down leaving a little of the blue area and stained the rest. Here’s the final box all put back together. Another before and after pic. Love the subtle change. It fits so nicely in your office! And I bet it was free too! 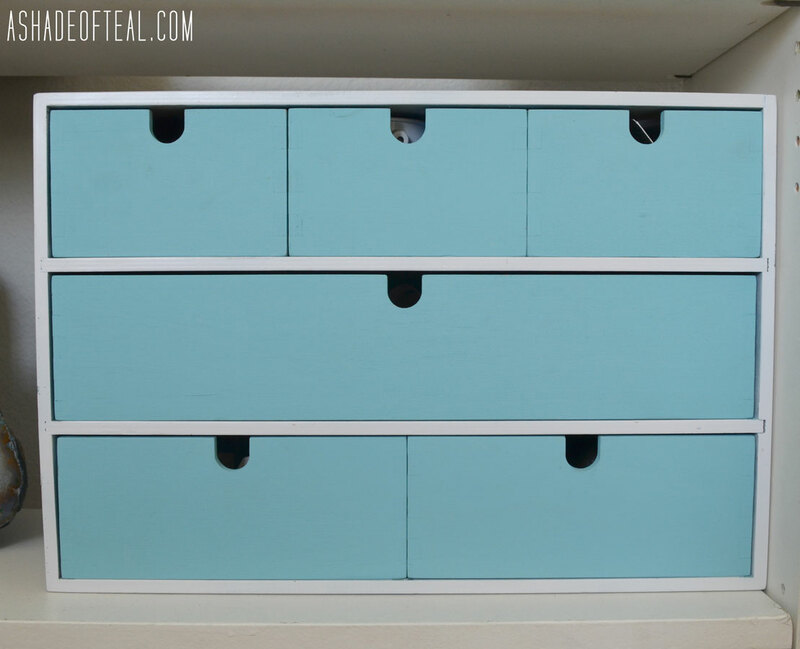 I love DIYs that are free! This looks great! I love the colors and what an update from what you had before! 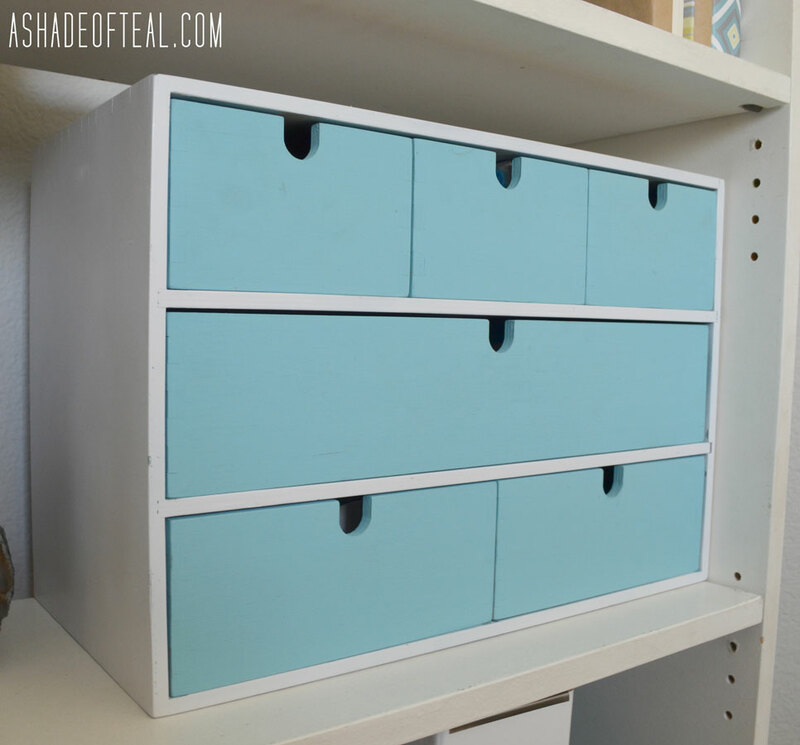 I’m obsessed with blue and this is a great organizational tool for an office! Thanks Ruthie, so glad you like it!